The Royal Edinburgh Military Tattoo is without question one of the greatest shows on earth. Its unique blend of music, ceremony, entertainment and theatre, set against the spectacular backdrop of Edinburgh Castle, showcases the incredible discipline and talent of military bands and drill corps from every corner of the globe. 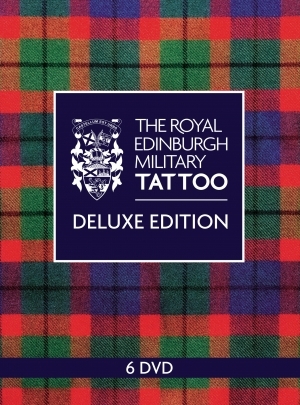 This deluxe edition presents the official DVD releases of The Royal Edinburgh Military Tattoo from 2011 to 2015, plus a selection of highlights from the previous decade, including the splendor of massed pipes and drums, the haunting lament of the Lone Piper, the exuberance of Highland dancing, and spectacular displays of folkloric traditions from all around the world.